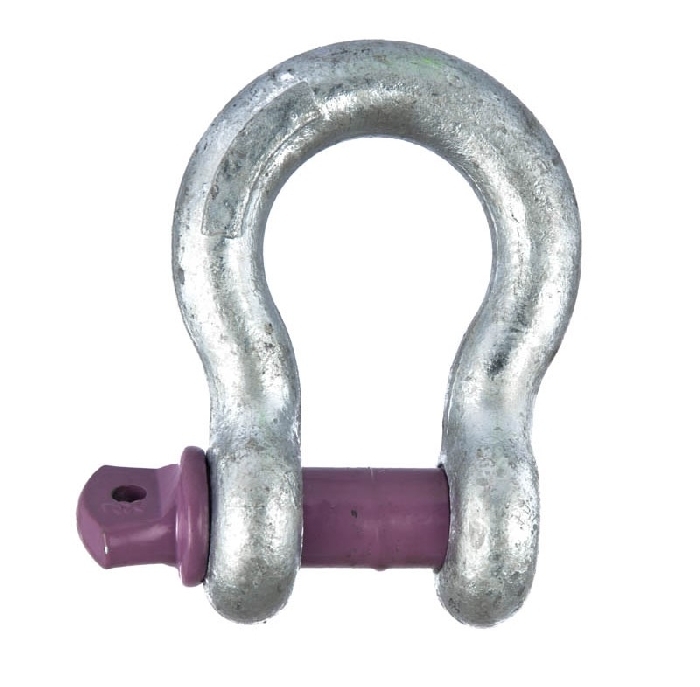 Chain and Rope Suppliers offer a complete range of aluminium portable gantries for both sale and rental. These super light A frame gantries are 100% customizable and extremely versatile pieces of lifting equipment. Not only can the super light aluminium gantry be used a s a lifting device but it can also be equipped to be used as personal protective equipment for falls from height and as a rescue device once configured correctly. 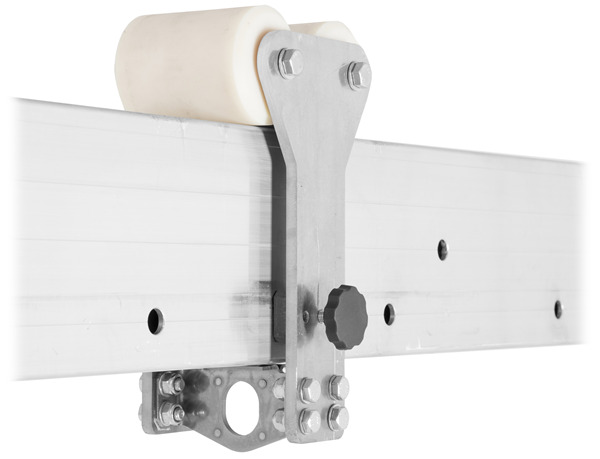 The super light A frame gantry consists of 2 A frames and a single beam. The modular system allows the portable gantry to be disassembled for easy transport or passing through narrow spaces and doorways. 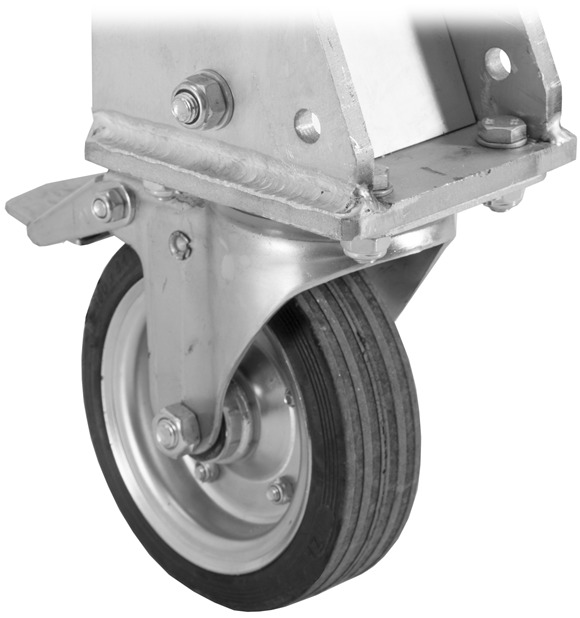 Assembly takes minutes on site and the large casters on the base of the portable aluminium gantry allow for easy location. 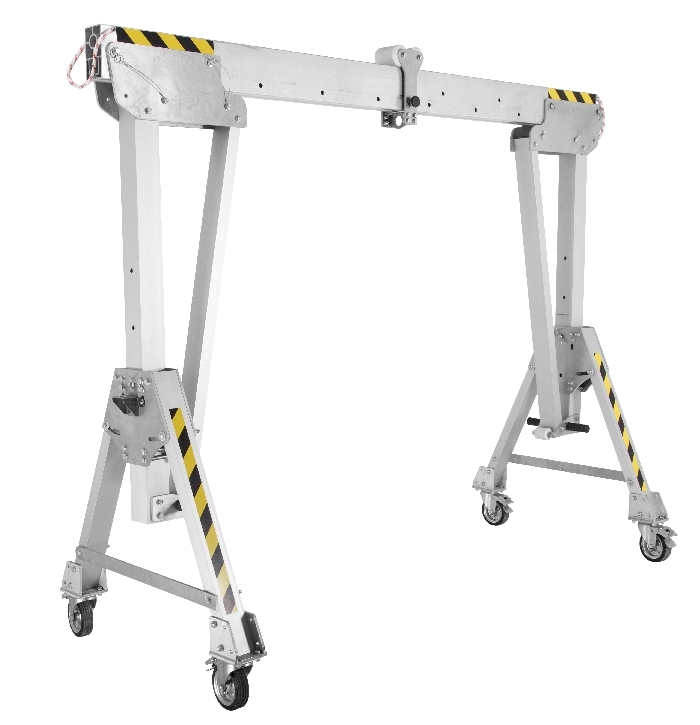 All our portable A frame gantries are supplied with a mounted beam trolley which can run along the beam for easy movement of loads. The beams on the super light portable gantry are interchangeable and depending on your application the same gantry system can be used by simply changing the beam. The capacity of the gantry will depend on the beam length being used. Our super light aluminium portable gantry ranges from 1.6m to 5.4m in height with beam lengths of 2m to 7m and safe working loads of 1.5T to 3.5T. 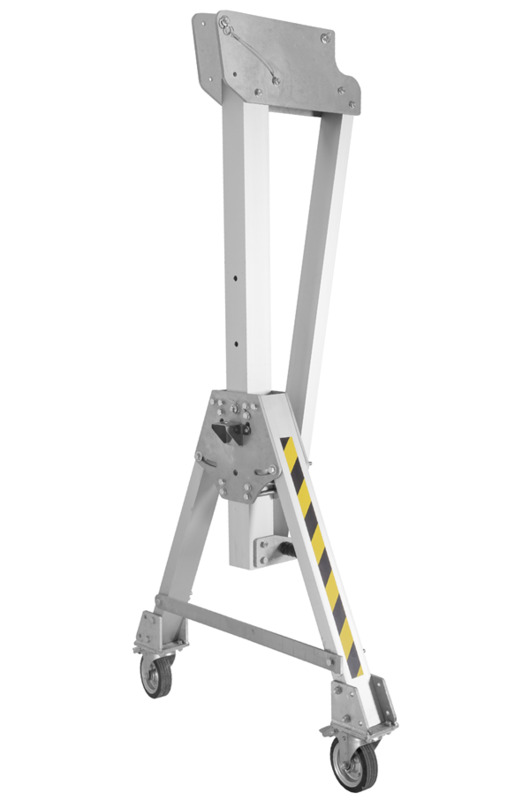 The super light A frame gantry is ideal for use in hoisting applications where access to cranes is limited. They are used successfully for pump removal in waste water treatment as well as means of removing heavy serviceable items from larger industrial machines. 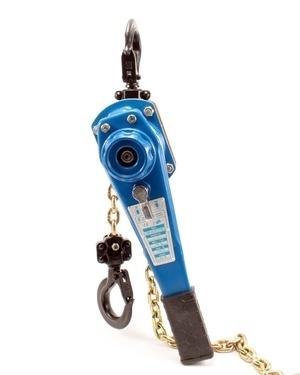 The portable gantry can be used with a chain block, lever hoist, electric hoist or any other approved lifting device. For enquiries regarding our range of portable aluminium A frame gantry please contact our sales team on 01-4570021. Spec sheet is also available on the tab below.